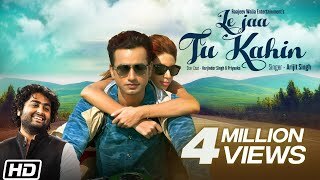 Le Jaa Tu Kahin Lyrics: Arijit Singh’s non-film song that he has sung Arijit Singh. It has music by Sufiyan Bhatt while lyrics of the song are written by Sahil Fatehpuri. The music video of the song is directed by Rajeev Walia starring Harjinder Singh and Priyanka.